As the third remake of William Wellman’s 1937 Hollywood melodrama “A Star Is Born” (fourth if you consider that Wellman’s film was itself inspired by George Cukor’s 1932 drama “What Price Hollywood?”), the 2018 version of this tale of fame, art, love, and commerce is in many ways forced to immediately justify its existence. Making his directorial debut, actor Bradley Cooper decides to put his defense right in the text of his movie, having his character at one point explain that there are only twelve notes in existence, just repeated in different octaves. “It’s all the same story told over and over — forever,” he says, adding that the only difference comes in the way an artist chooses to play them. I’m delighted to report that Cooper plays them beautifully. Adding to a legacy that includes Cukor’s second spin on the material with the beloved 1954 “A Star Is Born” starring Judy Garland, and the somewhat less admired 1976 version with Barbra Streisand and Kris Kristofferson, Cooper doesn’t stray too far from the template set by those before him. He plays the material with complete sincerity, finding an emotional authenticity even when the story veers into less than realistic territory. In so doing, he helps explain the enduring popularity of this archetypal showbiz story, fulfilling audience’s seemingly inexhaustible fascination with stories about the Hollywood star-making machine. What impresses most about Cooper’s film is the way he’s able to wring such raw feeling out of the well-worn formula. His film is positively old-fashioned in its simple desire to entertain its audience, make them swoon, and give ‘em a good cry. In addition to directing and co-writing some of the film’s fantastic original music, Cooper stars as country rocker Jackson Maine, a superstar at the height of career. He’s also got a weakness for booze, and Jackson is looking for a place to get drunk after one of his arena gigs when he wanders into a divey drag bar where restaurant-worker-aspiring-singer-songwriter Ally (Lady Gaga) just happens to be performing. Watching her belt out a face-melting rendition of “La Vie En Rose,” he’s instantly smitten. They go out for a quiet drink after, spending a night together that includes Ally punching an off-duty cop, a trip to the supermarket to get some frozen peas for her bruised hand, and some parking lot confessions and impromptu songwriting. The pair soon enter into a creative and romantic partnership, but as Ally’s star begins to rise, Jackson’s begins to fall, and the story examines the inevitable toll both fame and addiction take on their relationship. In her first feature film leading role, Lady Gaga makes for a dazzling presence on screen. It’s no shock that she can sing like the dickens, but the pop star is entirely convincing as a young woman still unsure of her talent, and gradually learning to find her voice. The success of the story hinges on how invested the audience is in the central romance, and the combustible chemistry between the leads makes it easy here. Cooper is equally good, investing Jackson with a rough-hewn charm while maintaining restraint in a potentially showy role. If the film seems to sag slightly in its middle section, that’s largely because the first hour is so sublime. From their first meeting to the moment Jackson convinces Ally to join him on stage for a live duet, their burgeoning love story is positively intoxicating. It feels less like a dip in quality than a necessary tamping down of the early exuberance that the later acts of the story require. But really, I would never be able to resist a film in which Cooper not only casts two “RuPaul’s Drag Race” alums, but also stages a mini reunion with his “Alias” co-stars Greg Grunberg and Ron Rifkin? Add in a wonderful supporting role for the always great Sam Elliott as Jackson’s older stepbrother and manager, and I’m totally on board. Their fraught relationship is at the heart of several of the film’s most powerful scenes. 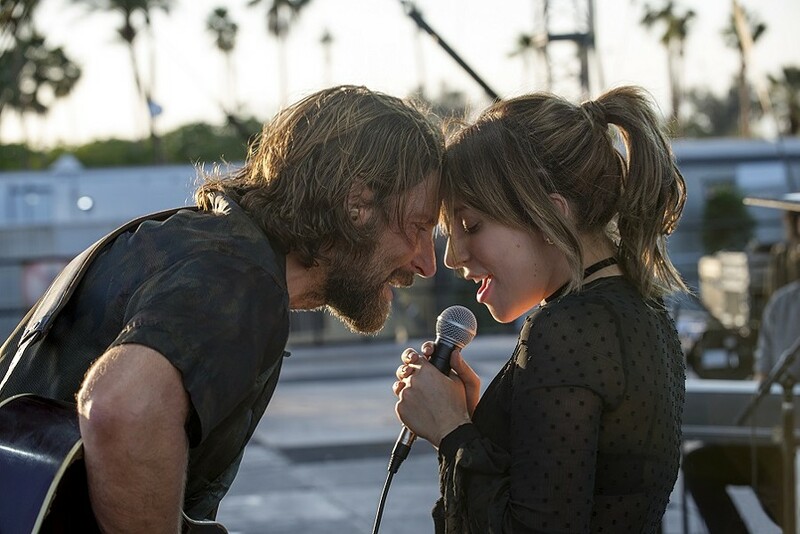 With a fervent sense of romanticism, “A Star Is Born” is a cautionary love story that its earns its emotions, imbuing an age-old tale with enough heart and soul to make it feel new again. Movie Reviews Film Film review "A Star is Born"